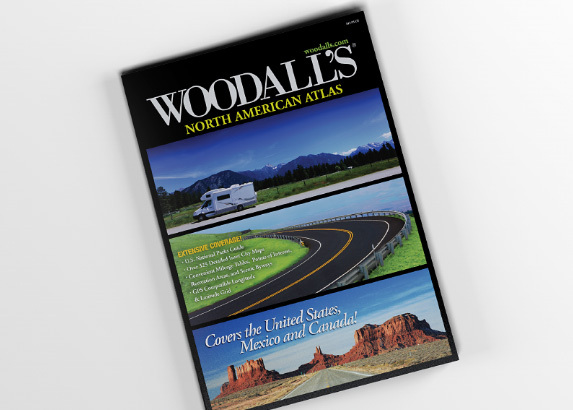 Remember when people would buy large books full of inscrutable maps printed on dead trees? Yeah, neither do we. 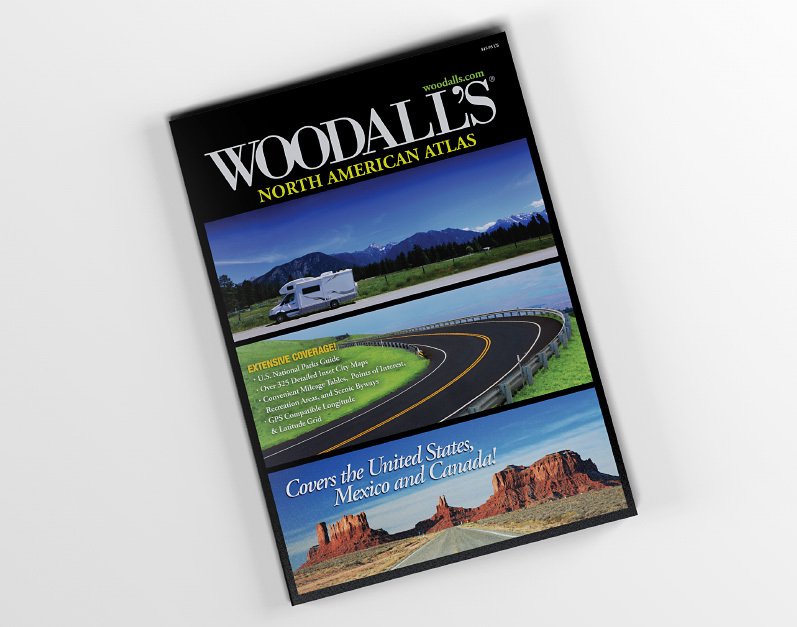 In any case, this was one of the last maps printed by Woodall’s, a company catering to the RV crowd. 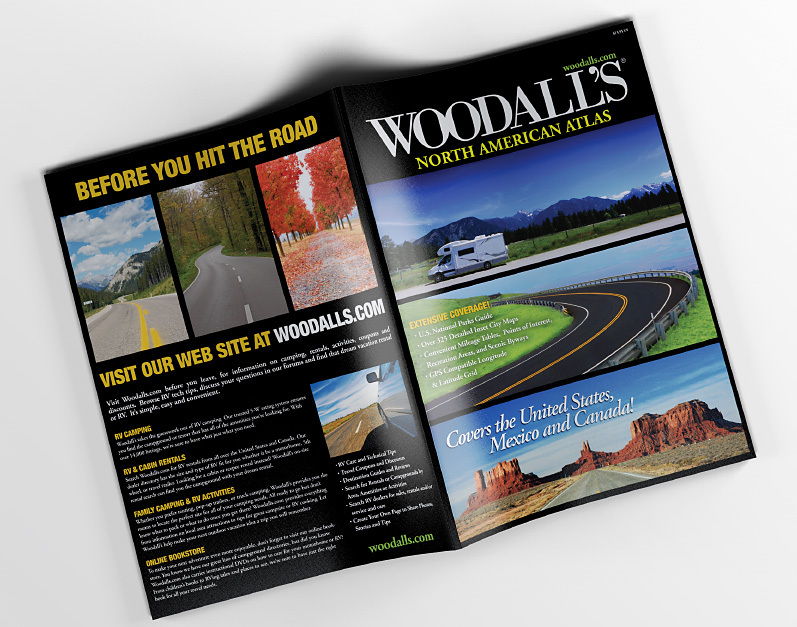 This project included the cover, inside ads and general design.